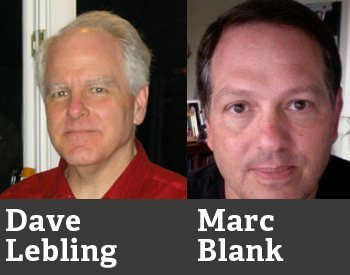 Infocom co-founders Dave Lebling and Marc Blank will be honored by the Academy of Interactive Arts and Sciences at the 16th DICE Awards in February. There was a brief time, back in the dark ages of computer gaming, when Infocom ruled the world. It was all over by the mid-80s but its legend remains, and titles like Zork, Hitchhiker's Guide to the Galaxy and Plundered Hearts (okay, maybe not that one) are as famous today as they ever were. In recognition of that impact, the Academy of Interactive Arts and Sciences is bestowing the 2013 Pioneer Award on Dave Lebling and Marc Blank, who co-founded Infocom in 1979 after meeting at the MIT Laboratory for Computer Science. They went on to co-create Zork I, Zork II, Zork III and Enchanter; Blank left Infocom in 1982 but continued to create interactive fiction, while Lebling stayed on to write games including Spellbreaker, Starcross, Suspect and The Lurking Horror. The award, given to people "whose career-spanning work has helped shape and define the interactive entertainment industry," will be presented by none other than Steve Meretzky, himself a former Infocom luminary whose credits include Hitchhiker's Guide to the Galaxy and Leather Goddesses of Phobos. "I wouldn't be a game designer today if Marc hadn't given me my first game job as a tester for Infocom back in 1981," Meretzky said. "And I wouldn't be as good a game designer as I am today, if it hadn't been for Dave's games at Infocom setting such a high bar for me to attempt to reach." Lebling and Blank will join previous Pioneer Award winners David Crane, the creator of Pitfall and co-founder of Activision, Raster Blaster and Pinball Construction Set developer Bill Budge, and "arcade era" programmer Ed Logg, whose credits include Asteroids, Centipede and Gauntlet. The 2013 AIAS Pioneer Award will be presented during the DICE (Design, Innovate, Communicate, Entertain) Awards ceremony on February 7, 2013.